Two-time Lambda Literary Award finalist Neil Plakcy returns to the Hawaiian Islands with a new mystery about blood ties in a state torn by ethnic tension. 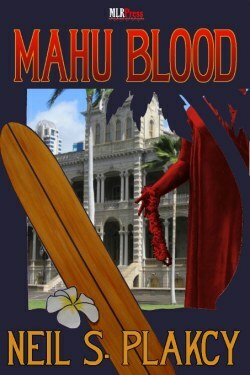 Openly gay Honolulu homicide detective Kimo Kanapa'aka must investigate a series of murders that threaten his own family as well as the citizens he struggles to protect. Billions of dollars are at stake in a fight over who the land of the Aloha State really belongs to. Is it the United States-- or the indigenous people of the islands, many of whom feel their sovereign kingdom was overthrown by American businessmen? At the same time, Kimo and his fire investigator partner, Mike Riccardi, deal with the stress of moving in together to create their own ohana --- a Hawaiian term which means family, as well as community.